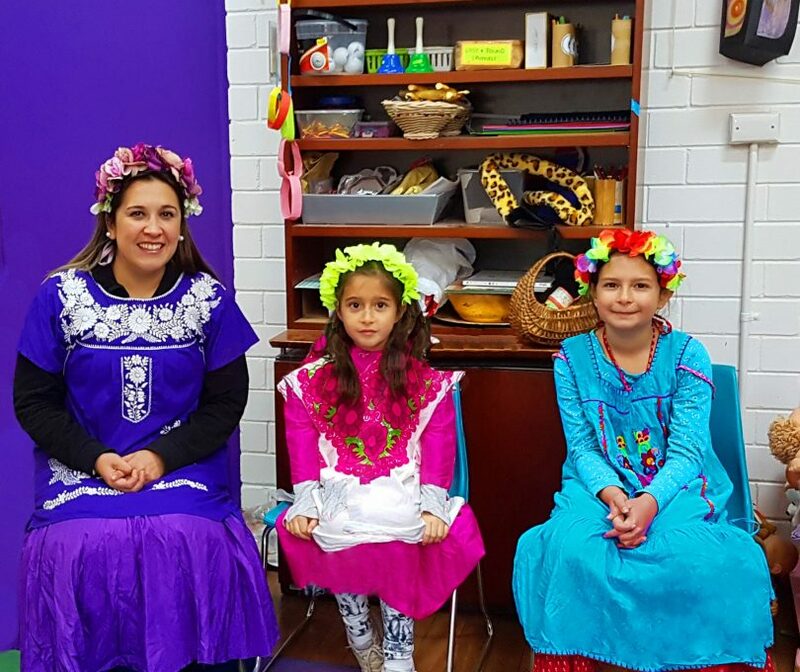 Ositos Cool school teacher Paulina dressed up as Frida with two ‘mini Fridas’. Photo supplied. 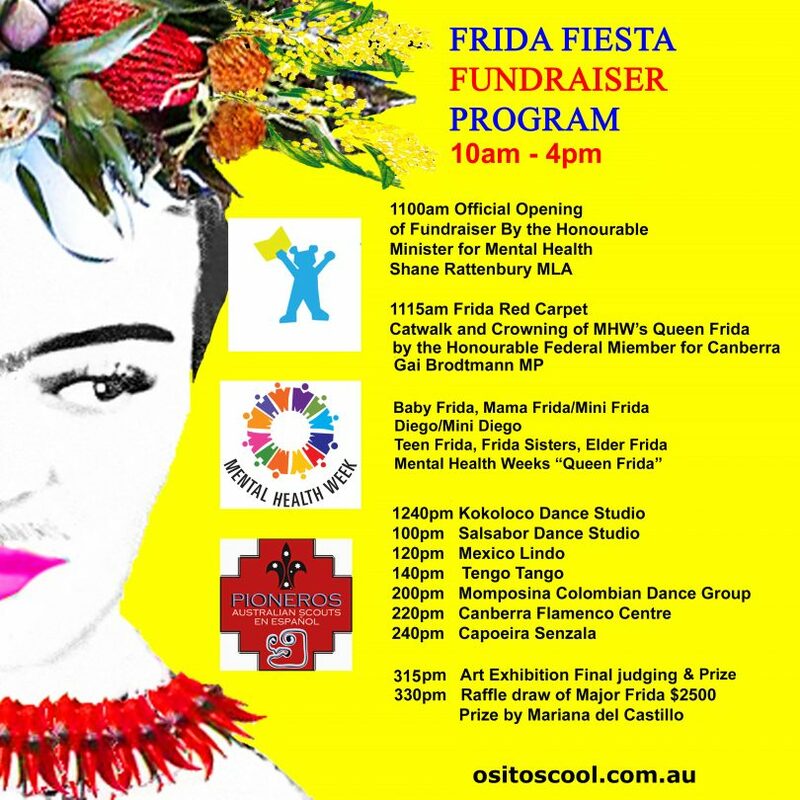 Watch Flamenco dancing, buy hand-made gifts in the mini-market and strut the red carpet in fancy dress at the inaugural Frida Fiesta Fundraising Event to be held on October 8 to mark the start of Mental Health Week. Organised by Canberra not-for-profit Spanish school, Ositos Cool, the event celebrates the life of renowned Latin American artist, the late Frida Kahlo, and her incredible story of resilience despite the many tragedies and trials she went through. Aimed at inspiring people suffering from mental health issues, the event also seeks to raise funds for Canberra’s first community-based Latin American Cultural Centre. “Our dream is to be a hub for all community groups, particularly Latin American groups but also other cultural groups,” said Spanish Speakers Association event manager, Rosa del Castillo. The centre would also provide a permanent home for the Ositos Cool school which has been operating for eight years in Canberra and provides Spanish language classes for everyone from two-year-olds and onwards. The fiesta event will be held at Canberra Fitters Workshop in Wentworth Ave, Kingston (near the Kingston Bus Depot Markets) from 10 am to 4 pm on Sunday, October 8 and will be officially opened at 11 am by ACT Mental Health Minister, Shane Rattenbury. A highlight of the event will be a red carpet fashion show which will see a ‘Queen Frida’ crowned by Member for Canberra Gai Brodtmann at 11 am. Frida was known for being proud of her distinct facial hair and indigenous Mexican Tehuana dresses and promoted a ‘sense of self’. Visitors to the event are encouraged to dress up as ‘Frida’ or as her husband ‘Diego’ or in one of several other categories – such as mini Frida, elderly Frida or Frida sisters. Alternatively, dress up in colourful clothes and watch the fashion show. 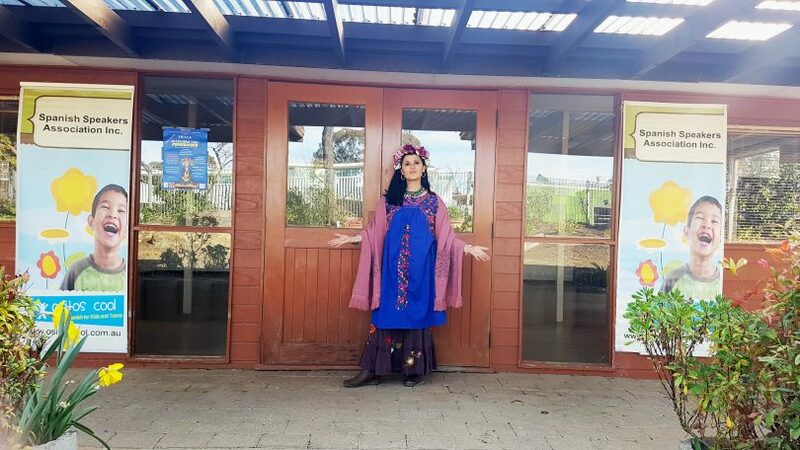 Rosa del Castillo dressed up as ‘Frida’ and standing outside the new centre/school location in Red Hill. Photo supplied. “Come along and join the vibrancy of who she was,” said Ms del Castillo. Another highlight of the event will be the holding of an art exhibition and the unveiling of a $2,500 raffle prize painting by local artist Mariana del Castillo. A total of 21 Canberra visual artists and performers have been invited to showcase their talents at the event including Harriet Schwarzrock, Alex Asch, Jodie Cunningham, Adele Rae Cameron and local band Los Chavos. Among the businesses taking part will be Material Pleasures, Handsomepretty, La Luna Fine Fabrics, Aztec Clothing and ACT Chiropractic. The Guatemalan and Mexican Embassies will also be participating and there will be stalls from the ACT Latin American Seniors group and the Latina Women’s Collective. On top of that, there will be a mix of folkloric and Latin/Hispanic performances from Mexico Lindo, Tengo Tango, Kokoloco Dance studio, Capoeira Senzala, Canberra Flamenco Centre and Salsabor Dance Studio. Click here for more information and about the event and click here to find out more about the Ositos Cool school. From next term, the school will be operated from new rented community centre premises at Red Hill. Below is the Frida Fiesta program. Canberra Day of the Dead Fiesta – Music, art, Mexican wrestling and more!